Nole took another step towards a record-breaking seventh Australian Open crown. 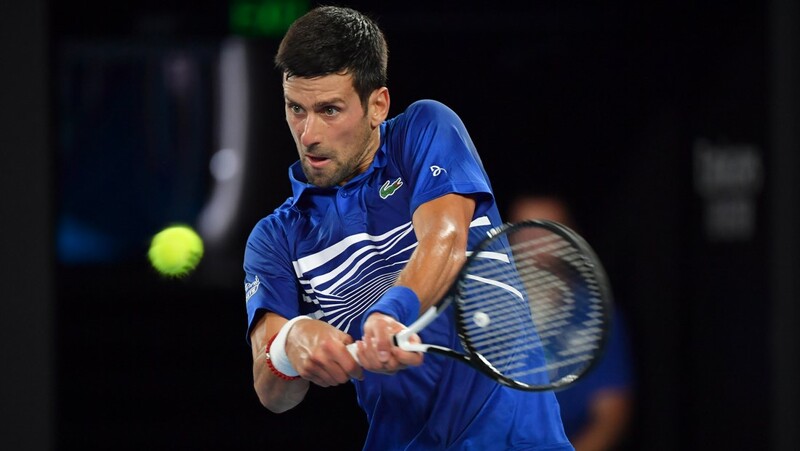 Novak Djokovic returned to the Australian Open quarterfinals for the 10th time in 15 years with a hard-fought 6-4, 6-7 (5), 6-2, 6-3 triumph over 15th seed Daniil Medvedev on Monday night at Melbourne Park. Novak was made to work to beat Medvedev. Daniil pushed him, but the top seed found the extra gear to seal the third win in as many career meetings between the two. After taking the opening set, Novak broke for 3-1 lead in the second and came within one point of a 5-1 advantage, but Medvedev held his nerve to win three straight games and went on to clinch the tie-break for one set apiece. Medvedev began to noticeably tire, and the world no.1 increased the pressure to take control. With a double break in the third and fourth sets, the Serbian ace finished it off for a spot in the quarter-finals. Match statistics: aces (6-18), double faults (5-6), winners (43-38), unforced errors (50-49), total points won (142-126). The gruelling three-hour, 15-minute victory over the talented Russian earned a final eight clash with no.8 seed Kei Nishikori. The Japanese recorded a five set comeback win over Pablo Carreño Busta 6-7 (8), 4-6, 7-6 (4), 6-4, 7-6 (8) in a marathon match lasting five hours and five minutes. Djokovic, the six-time champion, leads Nishikori 15-2 in their ATP Head2Head series.